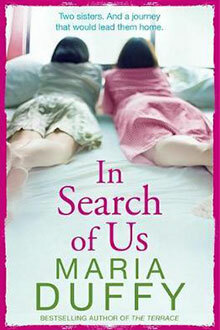 A story about sisters, friendship and bonds that never break. Twin sisters Ronnie and Elizabeth couldn’t be more different. Happily living with her boyfriend Al, Ronnie loves her job in an antique jewellery shop – the only thing that’s missing is the baby she’s desperate to have. While wealthy, glamorous Elizabeth, owner of a thriving recruitment company in Dublin, is married to the equally successful Nathan – having a baby couldn’t be further down her list of priorities. But when their mother Belinda passes away, she reveals a secret about the twins’ father which changes everything. As Ronnie and Elizabeth travels to New York to find out more about the man they never knew, it turns out that their mother has a few more surprises in store for them. Will the sisters finally discover that they have more in common than they think?